NBC's "Fear Factor" challenged contestants to complete physical, mental and extreme action stunts. Unlike the program, an adult "Fear Factor" party can include challenges that everyday people can attempt. "Fear Factor" party hosts can challenge squeamish and non-squeamish guests alike to interact with "disgusting" and "gross" items, and complete various stunts. Players face their fears of pig hearts in this game. After pouring fake blood into a large tub, the host drops two pig hearts and 100 plastic rings into the tub as extra "barriers" to make it more difficult for team members to get to the hearts. Teams don earplugs, goggles, nose plugs and ponchos for this event. Using only their heads, team members take turns and have 60 seconds each to retrieve the hearts. The team retrieving both pig hearts in the fastest time wins. Live worms test players' "Fear Factor" squeamishness in this game. After ensuring the worms' edibility--making sure the worm is a common variety with no toxins--the host puts 25 worms each into three containers. 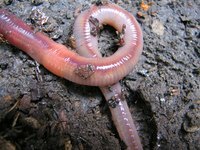 Teams of two play at the same time and try eating as many worms as possible in 30 seconds. After 30 seconds, players open their mouths and put uneaten worms back in a container; players also may drink water once the 30 seconds elapses. The team whose members consumed the most combined worms wins. Facing a bucket full of bugs, dog food, hard-boiled eggs and spaghetti, players try finding a key to unlock their "Fear Factor" partner in this game. Players divide into pairs, with one player chained up and the other assigned to search for the key. Using only their mouths, the key seekers must plunge into the buckets. When a seeker finds the key, he can use his hands to unlock his partner. The pair completing the challenge first wins. Players contend with frigid "Fear Factor" conditions in this game. The host puts 20 marbles at the bottom of a bucket filled with ice cold water. Using their toes, players take turns picking up marbles; the player who collects the most marbles within 30 seconds wins. Players not fond of getting dirty faces can test their fear of mud in this game. After the host puts coins in a large paddling pool of mud, players take turns jumping in the mud and searching for the coins. The player who finds the most coins in 30 seconds wins. Baby food and olives mix in this "Fear Factor" game. The host fills a bowl with any type of baby food and 10 olives, putting an empty bowl about 3 feet away. Using only their mouths, players take turns moving the olives from one dish to the next; the fastest player to move all olives to the next dish wins. Following the legend of Hal O. Ween, a murder victim with scattered body parts, players compete in this "Fear Factor" game to find those "body parts" as fast as possible. The host puts the following "body parts" on plastic or plates in a pitch-black room: brain (an overcooked cauliflower head); eyes (two frozen peeled grapes or olives); heart (uncooked liver); hair (corn silk or wet yarn); hand (a damp gelatin-filled plastic glove); ears (dried apricots); nose (a hot dog, pickle, or soft chicken bone); stomach remains (wet spaghetti); and tongue (cow tongue). Teams of two take turns trying to locate the items, and proceed to put the items on plates found on a table outside the room. Upon looking at plates containing written body parts, players put the found parts on the plate best describing the parts they found. The host informs players if they put a part on an incorrect plate. When teams put all the parts on correct plates, the host records the team's time. The team completing the challenge in the fastest time wins.